This is the second in a series of blog posts exploring the threat that drug resistance poses in fighting the epidemics of AIDS, tuberculosis (TB) and malaria. The full series is available here. Today, almost half of the world’s population is at risk of malaria. In 2015, there were 212 million cases of malaria, and 429,000 deaths from the disease. Almost 70 percent of those deaths were among children under age 5. The tragedy behind these figures is that malaria is both preventable and treatable. Through coordinated prevention and treatment campaigns spurred by the Global Fund to Fight AIDS, Tuberculosis and Malaria (Global Fund) and the U.S. President’s Malaria Initiative (PMI), the international community has made great strides in the fight against malaria. Since 2001, these efforts have helped to avert 6.8 million malaria deaths. However, a dual resistance threat jeopardizes these gains, and the Global Fund is acting to counter it. Malaria is caused by a parasite that is transmitted to people through bites from infected mosquitoes. There are four parasite species that cause malaria in humans: Plasmodium falciparum, P. vivax, P. ovale, and P. malariae. P. falciparum is most prevalent in Africa, where 90 percent of malaria cases are concentrated, and is responsible for the most deaths. To prevent the spread of malaria, public health campaigns have long targeted the mosquitoes that carry the parasites, through the destruction of mosquito breeding areas, the use of insecticide-treated nets, and the spraying of insecticides in homes, also known as indoor residual spraying (IRS). When prevention efforts fail and infection occurs, the most effective treatment available is artemisinin-based combination therapy (ACT), which cures most cases of malaria caused by P. falciparum. But two types of resistance are emerging and undermining these efforts. Mosquitoes are becoming increasingly resistant to insecticide treatments (insecticide resistance), and malaria-causing parasites are developing drug resistance to ACT, rendering this critical treatment less effective (artemisinin resistance). Sixty countries have reported resistance to at least one type of insecticide, and 50 countries have reported resistance to more than two broader insecticide classes. 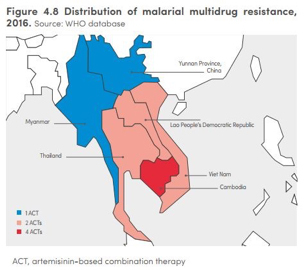 As of March 2017, artemisinin resistance had been reported in the Greater Mekong subregion only. Together, insecticide and artemisinin resistance threaten to derail global malaria control efforts. The Global Fund has long supported a range of malaria control activities, including malaria awareness programs, IRS spraying in homes, and the distribution of treatment and insecticide-treated nets. Insecticide-treated nets are one of the most effective preventative measures, particularly among children, one of the most vulnerable populations to malaria. Insecticide-treated nets have been shown to reduce malaria incidence by 50 percent among children worldwide. Since 2002, Global Fund-supported programs have distributed 795 million insecticide-treated nets. With Global Fund support, dispensaries and health clinics have provided 668 million treatments for malaria. More recently, the Global Fund has focused on the serious threat posed by insecticide and artemisinin resistance. Resistance to ACT treatments is concentrated in the Greater Mekong subregion, which includes Myanmar, Laos, Cambodia, Vietnam and Thailand. In Cambodia, four of the five available ACT treatments have been rendered ineffective by drug resistance, and only three of five available treatments are still effective in Thailand, Laos and Vietnam. This resistance not only increases morbidity and mortality rates, but it also poses a global risk, as the artemisinin-resistant parasites could spread to nearby regions and the African continent. Recognizing the need for an urgent and robust response, the Global Fund launched the Regional Artemisinin-resistance Initiative (RAI) in 2013, which provided $115 million to combat the spread of artemisinin resistance in Myanmar, Laos, Cambodia, Vietnam and Thailand. In 2018, the second phase of RAI will take effect, which will provide $242 million over the course of three years with the aim of eliminating malaria in these countries by 2025. 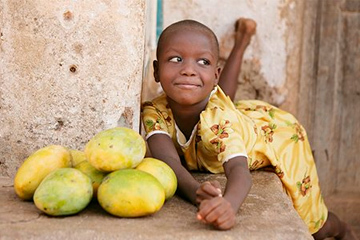 RAI has supported the distribution of insecticide-treated nets, diagnostic technology, as well as malaria treatment. 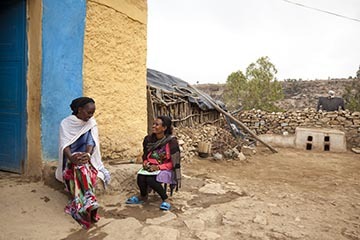 The initiative has also strengthened case management by supporting an expanded network of health workers who follow up with patients at risk of malaria in hard-to-reach areas. The Global Fund recognizes that a sustainable malaria response in the Greater Mekong subregion is dependent on resilient health systems, which is why part of the grant is dedicated to strengthening health information systems, health service integration and supply chain efficacy. This coordinated, multi-country effort has accelerated gains and countered drug resistance in the Mekong subregion. Since 2012, malaria incidence in the region has been halved, and malaria death rates have been reduced by 84 percent. The number of malaria deaths in Cambodia fell from 93 in 2011 to just one in 2016. These local reductions have global implications—for stopping the spread of the disease elsewhere, and for expanding the zone of malaria elimination. The Global Fund’s goal to eliminate malaria from the Greater Mekong subregion is the sort of bold action that is needed to counter the tremendous threat posed by drug resistance. Without this ambitious programming, insecticide- and drug-resistant strains will continue to spread, jeopardizing the significant progress that has been made in the fight against malaria. 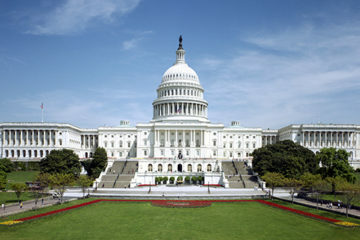 Continued U.S. leadership can act as a catalyst for more funding commitments to the Global Fund, which can help stop the spread of disease and save millions of people at risk of malaria worldwide.